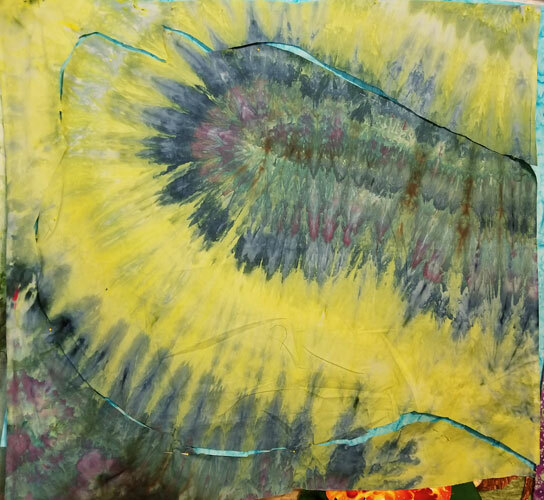 Contemporary Textile & Fiber Artist – Suzi Soderlund | Unique Hand Marbled Fabrics & Hand Dyed Fabrics for Quilters and Fiber Artists. My Friend Simone loves my Snow Dyed Fabric. 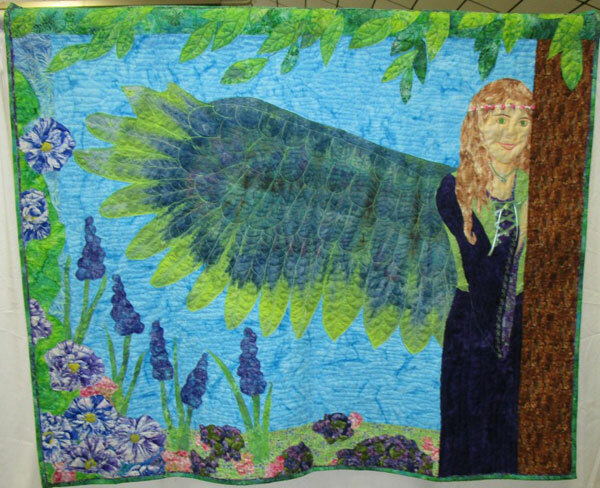 I am always excited to see what she has created, even better if she is using some of my fabric. So happy she thought to send a photo of the fabric before she got too far. I call her Simone’s Angel. 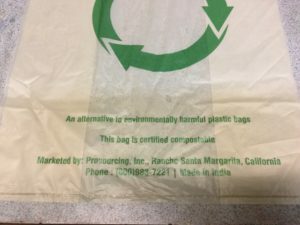 Finally used up the last of the plastic bags I purchased years ago. 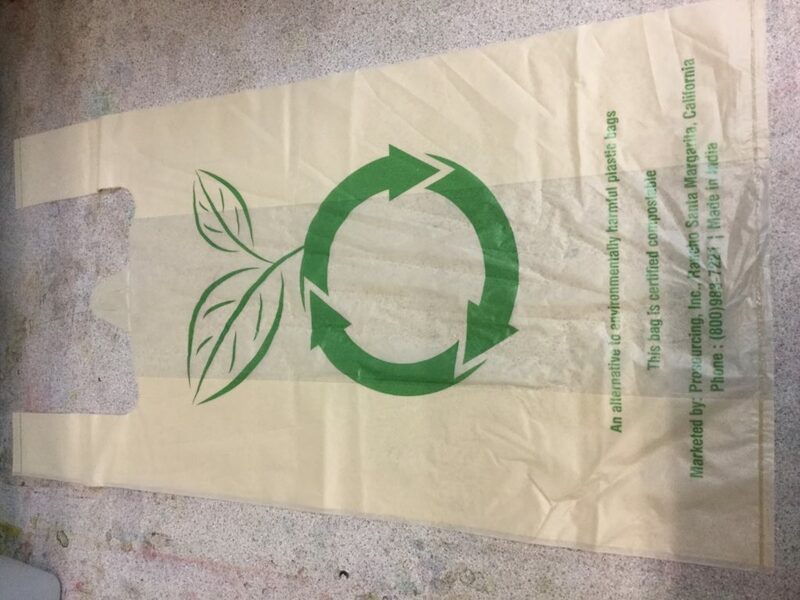 For those of you that forget your bags, I now have Certified Compostable Bags. And you know me, had to test them out. I played on in my home composter in May and by October it was gone. I never had the urge to immortalize my critters until I saw A Quiet Moment Between Friends. 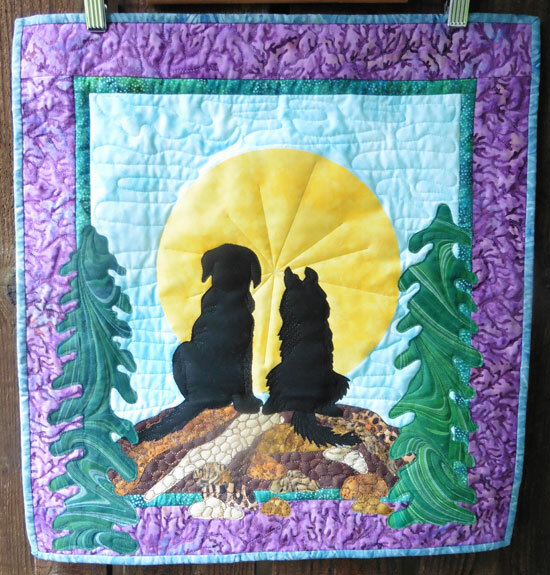 The pattern includes 5 different Dogs and 1 Cat. My version is called Fly & Molly. Silhouette Dragonflies is finally done. It has a saga behind it. I created a Snow Dyed Yard of Fabric about Four years ago. It hung in my studio until this Spring. Had some ideas but never seemed to have the time to make anything out of it. 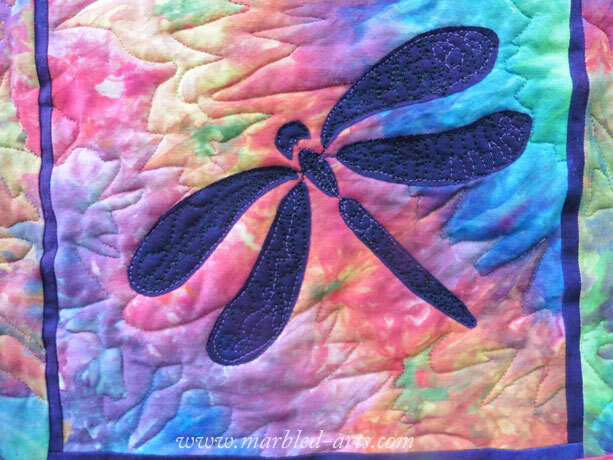 Then I saw Silhouette Dragonflies by Diane McGregor (Yes, you can find it on my Website). I ordered it on a Thursday, it arrived on Monday and I had the unfinished top in my booth on Friday. It just makes me happy to see the finished Wallhanging. Please note it can also be used as a table runner. Please be aware that with Snow Dyed Fabrics no two pieces are ever the same. 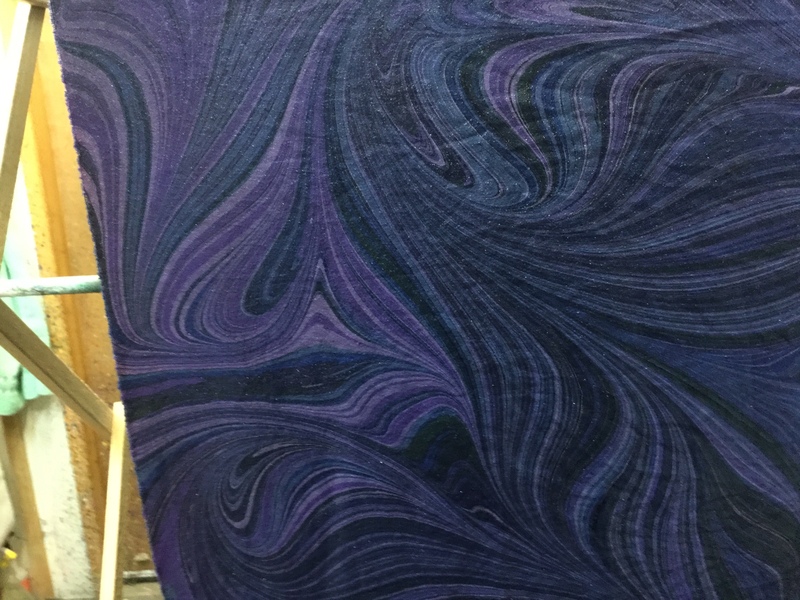 I dye three yards of fabric in one pile of snow, sometimes they come out looking like cousins, other times they look like they are from different planets. And trying to create a repeat is really an exercise in futility, it never works. My suggestion is, find a Snow Dyed piece that speaks to you and go from there. 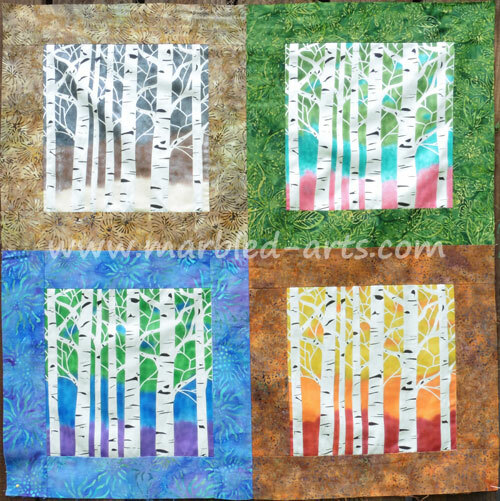 Many of you have seen Four Seasons either on my blog, FB page or in my booth. It has taken me forever to figure how to quilt and finish it. Thought I should update you on the progress. 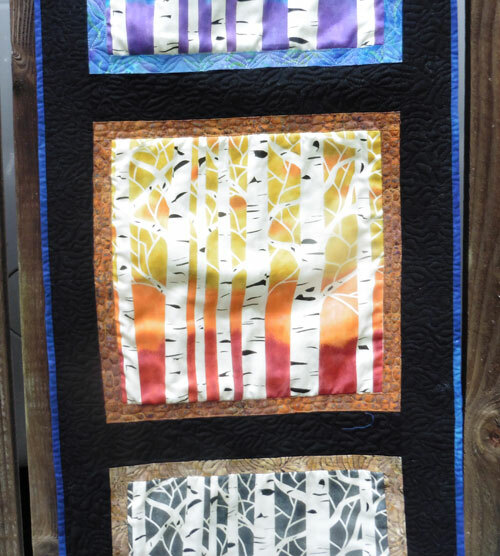 Went with a vertical wall hanging Spring, Summer, Fall and Winter. Is the Four Seasons finished? I will let you know when I figure that out. 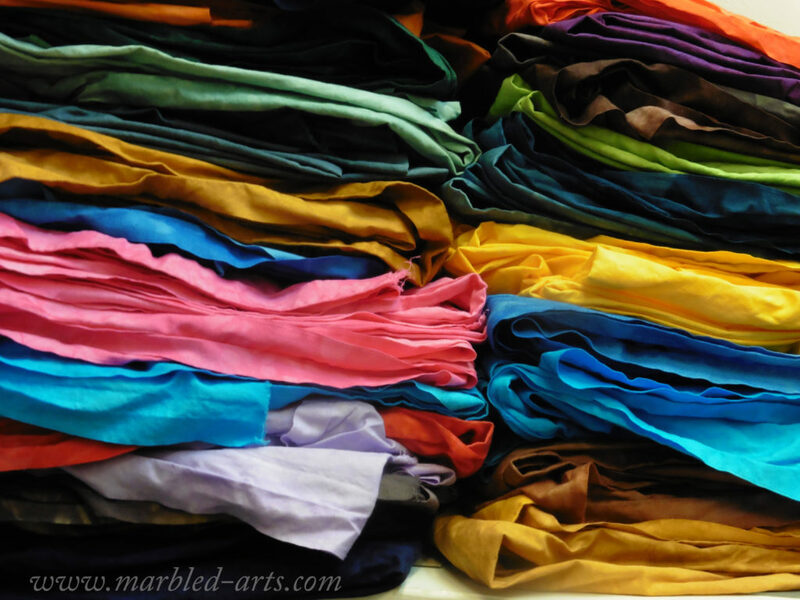 Remember the piles of hand dyed fabric? It has now been turned into 680 fat quarters of hand marbled fabric. Yahoo! I can’t believe it is all marbled. Still need to wash, dry and iron about 200 pieces. 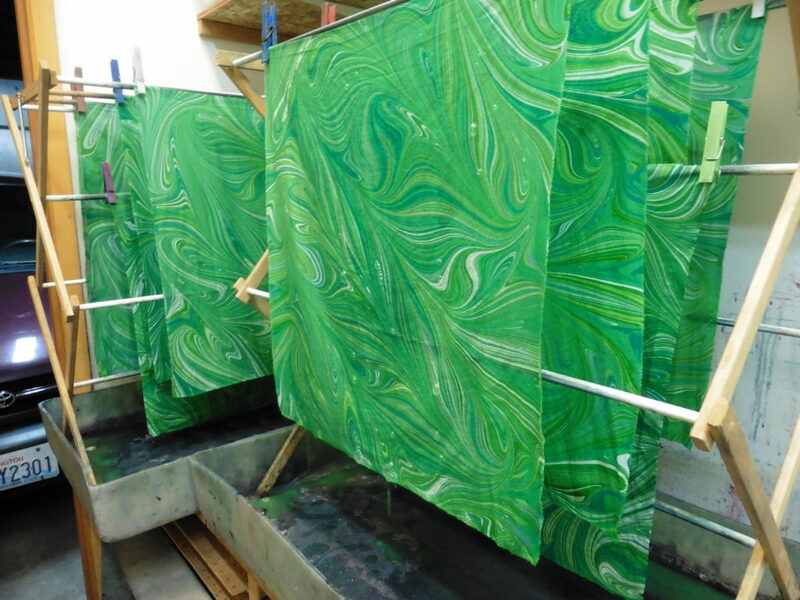 The first day of marbling for the Summer. Light Green now gets to cure for 16 days before it gets washed, dried and ironed. 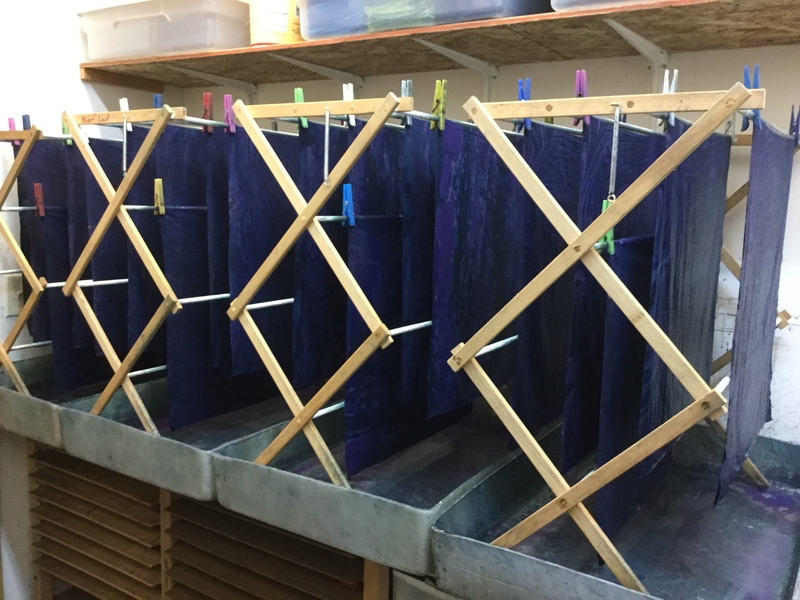 Just finished hand dyeing all of this lovely fabric. Next, it will all be marbled, it could take me all Summer to get it done.